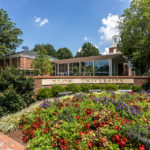 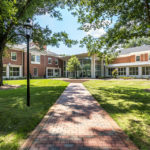 The communications building at Elon University expands the facilities for the Communications Department by 55,000 square feet, split over two new buildings. 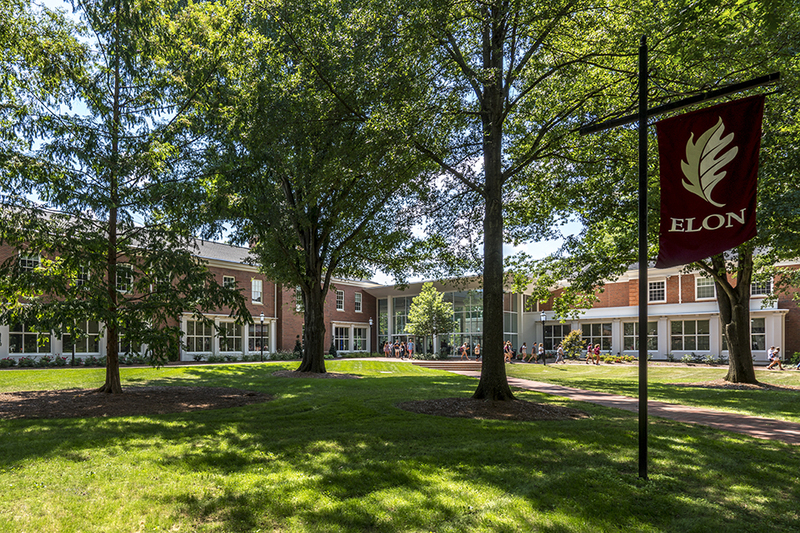 The primary building occupies a major corner at the entrance to the campus, on the corner of North Williamson Avenue and West Lebanon Avenue. 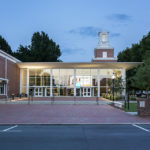 The building features a large glass atrium directly connected to the existing McEwen Building, a large theater below grade, classrooms, and offices. 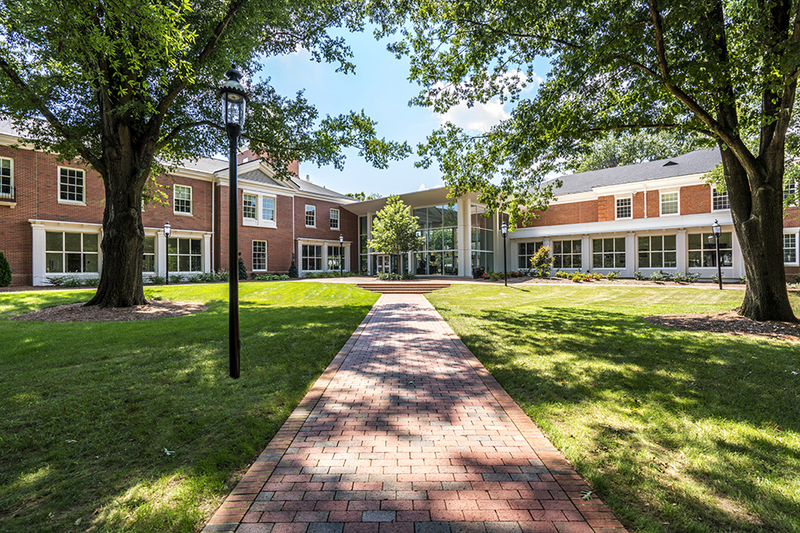 A separate pavilion building houses additional offices, lounges, and a laboratory. 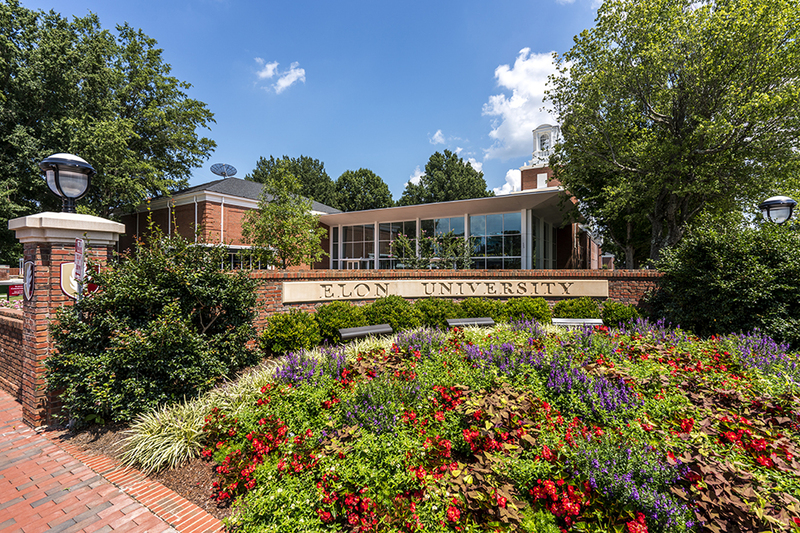 Stewart provided civil engineering, landscape architecture, and structural engineering services for the project. 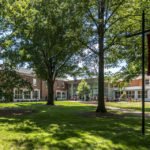 Land planning services included utility relocation and permitting services, as well as the design of the outdoor spaces to tie the new buildings into the existing movement of people through campus. 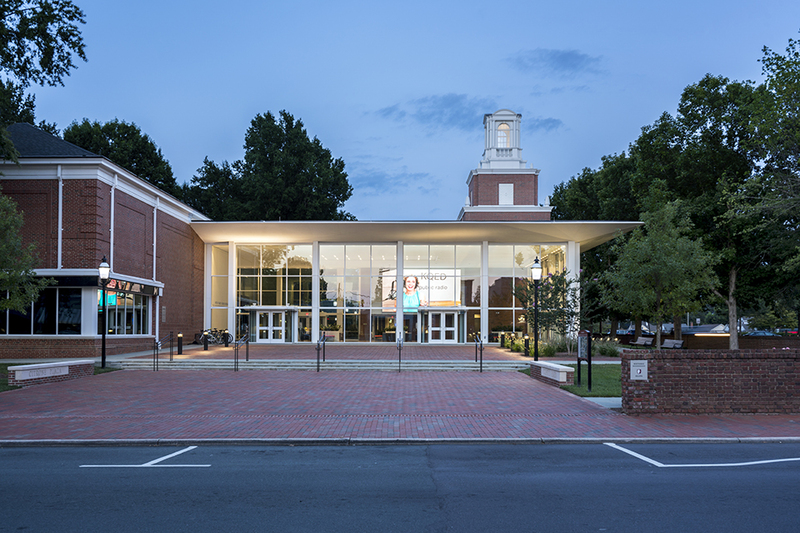 Structural engineering services provided an elevated composite steel structure, with sloped steel roofs. 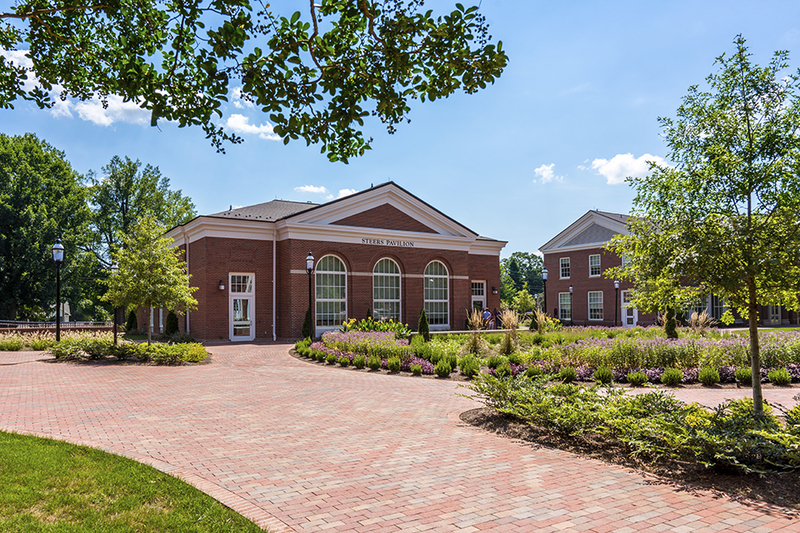 Challenges during the design included the adjacent road and railways, a basement story with subfloor drainage system, and site logistics with existing buildings, trees, etc.